And, a hat, free pattern to follow very shortly. 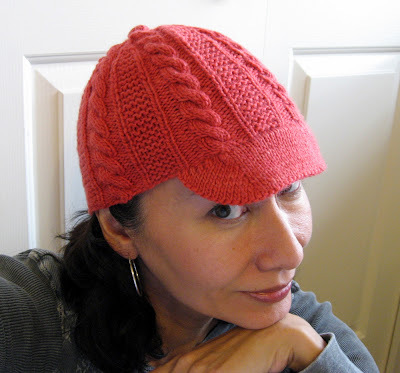 And, another hat, knit from sock yarn. It's light enough to wear running and to get stuffed into a pocket if the runner's head starts overheating. Notes and photos to follow shortly. OMG I am loving that hoodie! 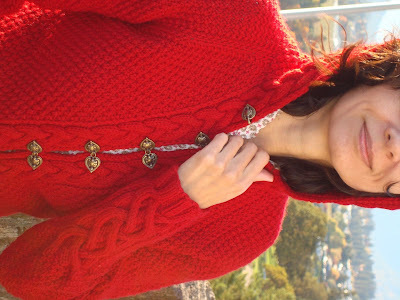 I'll be blogstalking you to see when it becomes available just like I did with the Kelso cardigan! Haha. Wow. That sure is a lot fancier than the hat I'm trying to design now. :) I'll just be happy if mine fits and is functional. Someday I'll be able to make things useful AND pretty.